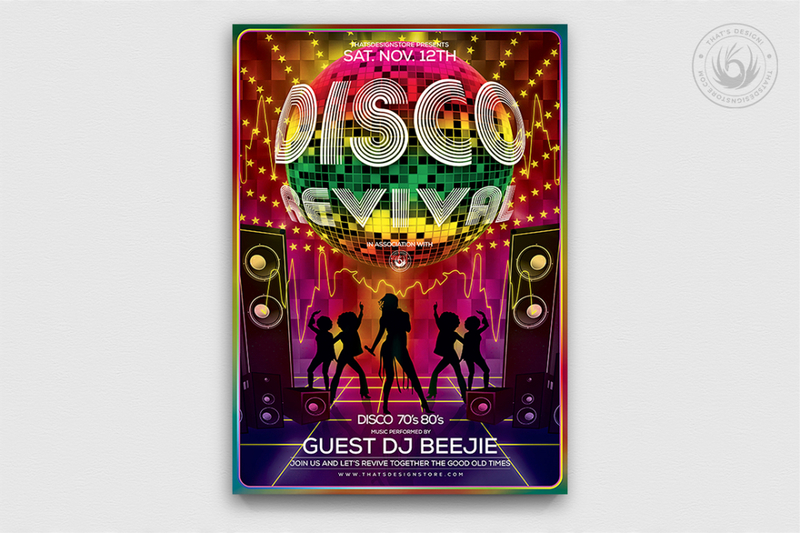 Main Title: Double click the smart object layer « Double-click to edit », type your own text in the newly opened window and save. 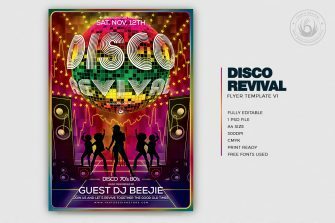 Other text: All the text is editable by simply double-clicking on the text layer in Photoshop, and just typing in your desired information. 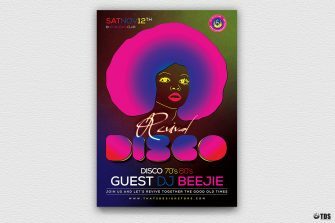 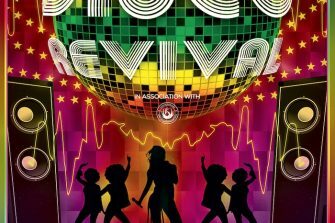 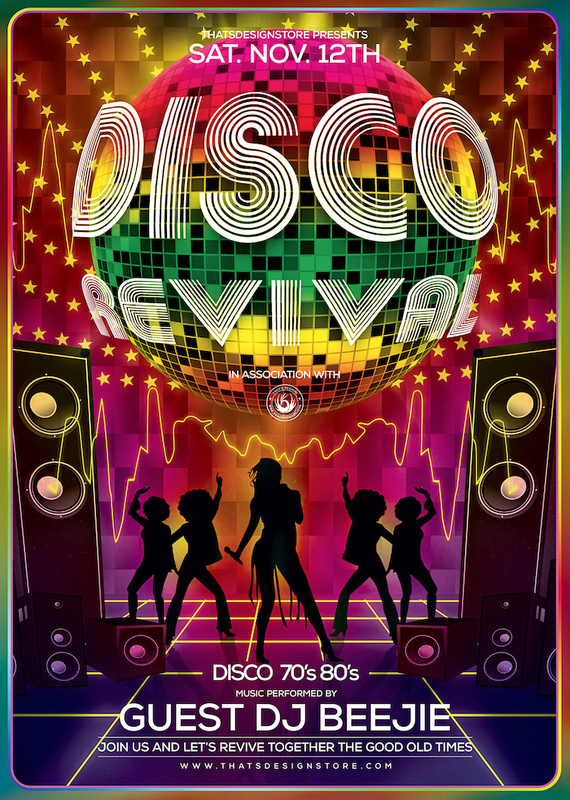 Disco revival flyer template is perfect for a Remember, Disco, 70’s, 80’s, 90’s and Revival Special party. 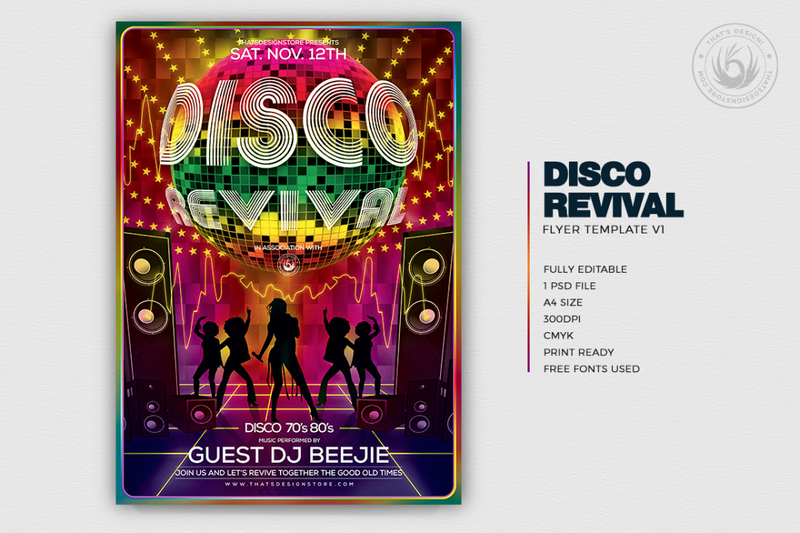 This Customizable Photoshop psd flyer templates, is also suitable for a Fluo night or even a flashback Dj set.